Gillette’s new advert discouraging sexism has caused a storm around the world. And now the brand is being accused of hypocrisy because its products for women are generally more expensive than its products for men. 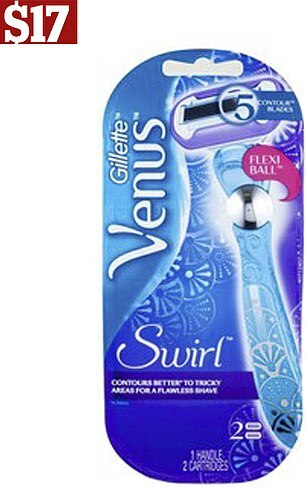 In Woolworths, for example, a Gillette fusion razor with five blades costs $14, while the Gillette venus razor with five blades costs $17, a 21 per cent mark up. And the price disparity isn’t limited to just razors and razor blades. 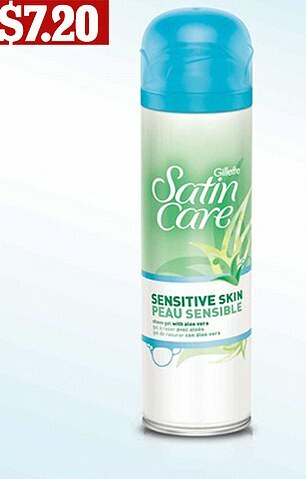 A 195g bottle of men’s shaving foam costs $6 while the women’s equivalent costs $7.20, a 20 per cent increase. Critics argue that women’s and men’s razors are essentially the same so prices should be too. But Gillette explains the price difference by saying the products are different. 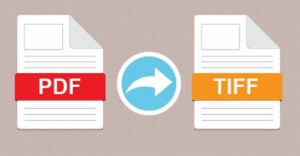 A spokesman said: ‘Gillette and Venus products are different, designed to address different shaving needs while providing the best possible user experience. 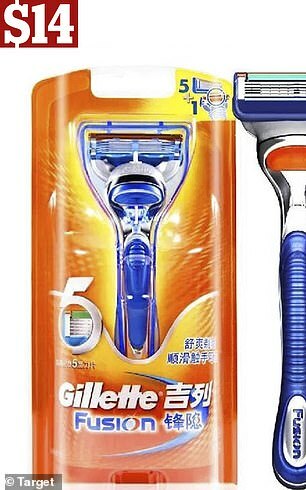 Gillette has been slammed on social media over the price differences since its advert. 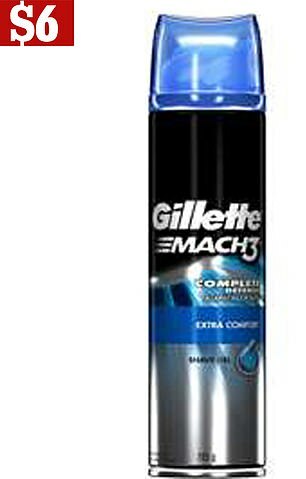 ‘Now I loved @Gillette for their new #bestamancanget ad. I really do. But can we address how much women’s razors cost compared to men’s? 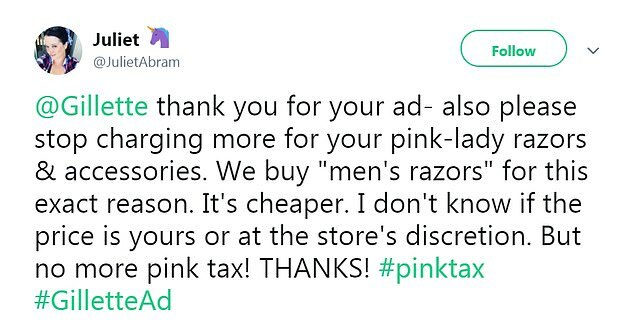 #pinktax,’ one woman on Twitter asked. What was the issue with the Gillette advert? The ad titled We Believe: The Best Men Can Be shows a man talking over a woman in a boardroom, boys fighting and grown men ignoring them saying ‘boys will be boys’. It later features men wolf whistling at women without being countered by their peers. Social media was deluged with outraged males who vowed never to buy any more products from the firm after the commercial went viral. Critics of the Gillette campaign were quick to claim the brand isn’t practicing what it’s preaching. 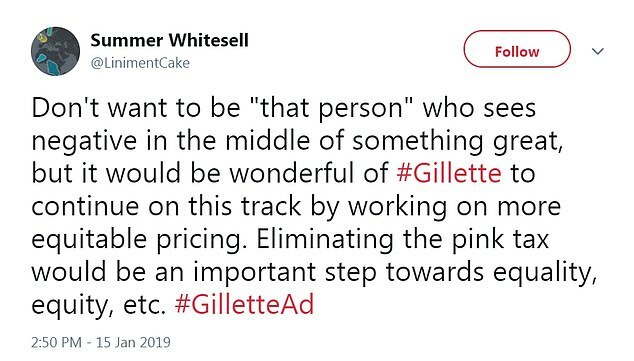 There were plenty of fans who were happy to see Gillette taking on bullying, sexism, and sexual harassment, even they couldn’t help ask why the company still has a ‘pink tax’ in 2019. 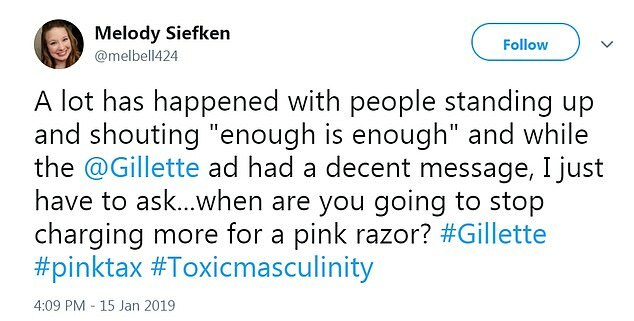 ‘@Gillette thank you for your ad- also please stop charging more for your pink-lady razors & accessories. We buy ‘men’s razors’ for this exact reason. It’s cheaper,’ one woman tweeted. ‘Hey @Gillette!! 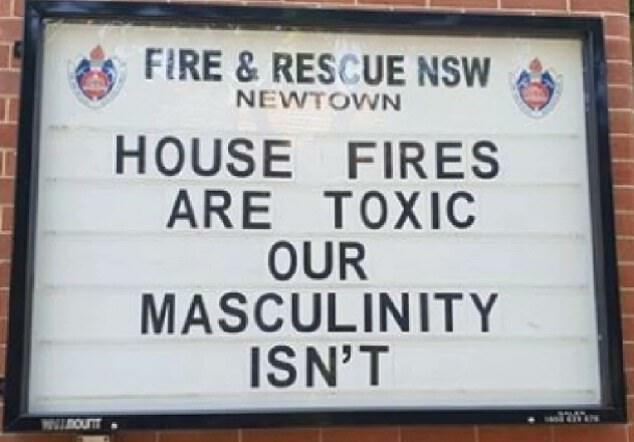 That’s quite a nice ad, we definitely have to reshape our masculinity. And also, how about ending the #PinkTax?’ a man named Guillermo wrote. One optimistic woman believed Gillette was taking the first step to eliminating the ‘pink tax’ on its products. ‘What an AMAZING add [sic] from #Gillette! 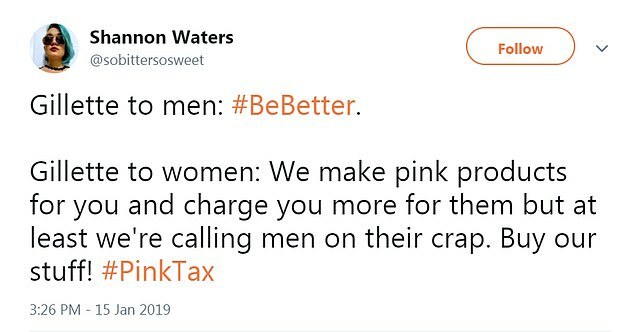 Let’s take it to the next level and eliminate the #PinkTax on products for women!’ she commented. The socially conscious new campaign from Gillette has been steeped in controversy since it debuted, with many men calling for a boycott of the brand.